Copper is easily recycled which is good for the environment. Copper materials are recycled without changing the physical properties of the metal. This means it does not have to go into a "cheaper" product, it can be used again and again in the same application. 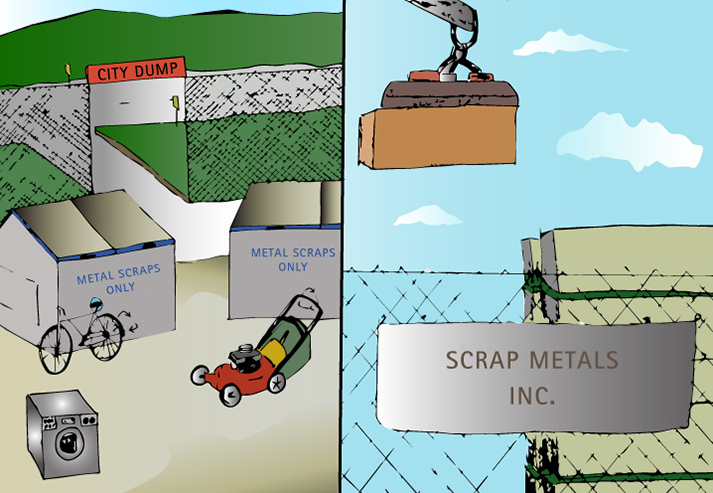 Many copper mills utilize copper scrap materials in the production of new alloy products. The history of copper mining and recycling goes back to the time copper was first used, about 10,000 years ago. The copper industry is committed to contributing to the local economies, providing a safe workplace, and protecting the environment and reclaiming the land.